It’s exactly what you need when you’re stuck at work all day—a drone can drop off a beer, or a sandwich. If you’ve messed up your shirt, your wife can send you a clean shirt for an important business meeting. Flytrex has designed a drone for simply delivering small items. It’s of a similar quadcopter design with four rotating blades, but with a cargo attachment beneath. Flytrex has been trying to develop a delivery drone that will get past all the hurdles that the Amazon drones have been experiencing. They decided to limit their focus to person-to-person delivery, and smaller objects. These deliveries only travel smaller distances, and are not meant for commercial flights. Flytrex’s goal was to get their delivery drones out into the market. They’ve found a better purpose for their flying drones. There are many hurdles to get past with commercial drone deliveries. The logistics of unmanned flights in busy cities, combined with the safety and security issues. Flytrex believes that perhaps a drone should only be for delivering stuff, and releasing it at its destination. It’s a GPS guided drone that is only good at carrying small objects. How Flytrex works is you send a message to your loved one. They find what you need, and attach it to the base of the drone. You then summon the drone via smartphone app. The drone flies to you, and then lands. You remove your requested item from the clamps, and enjoy. The sender will guide the drone back to home, also using a smart phone app. The Flytrex can be outfitted with a second battery pack, so it can fly for up to thirty-five minutes of flying time. It can also get a video camera upgrade, so you can see the drone in flight, and guide it more accurately. 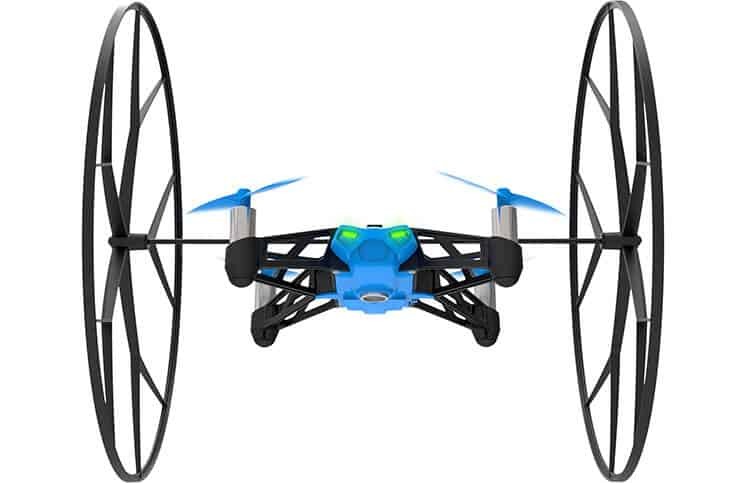 This fun drone is priced at around $750. It comes with two apps. The first app allows you to message people that a drone is on the way. The second app is used for piloting the drone. The drone contains eight hooks. With the addition of bands, these hooks can hold all sorts of smaller objects, including beer and soda cans, sandwiches, shirts, and more. It makes more sense to have a delivery drone that can deliver between family members or friends, and fly for shorter distances. Flytrex has managed to find a purpose for their delivery drones. This is making effective use of drone technology. Amazon may be developing technology to deliver packages from warehouse to home, but just how viable of an idea is this? There are so many hurdles to get past, from safety and security issues, to privacy issues. For now, if you need something in a pinch, you’ll have to rely on your friends or family to send you items via the Flytrex. After all, who knows when Amazon will have their UAVs on the market?